As I have mentioned before, ancient humanity has utilized the power of mother nature through the plants and herbs that she provides to treat all kinds of ailments, including pain. This along with the ancient practices and techniques of India and China, such as yoga, acupuncture and medicinal massage, give us plenty of tools to use in the natural fight against pain! 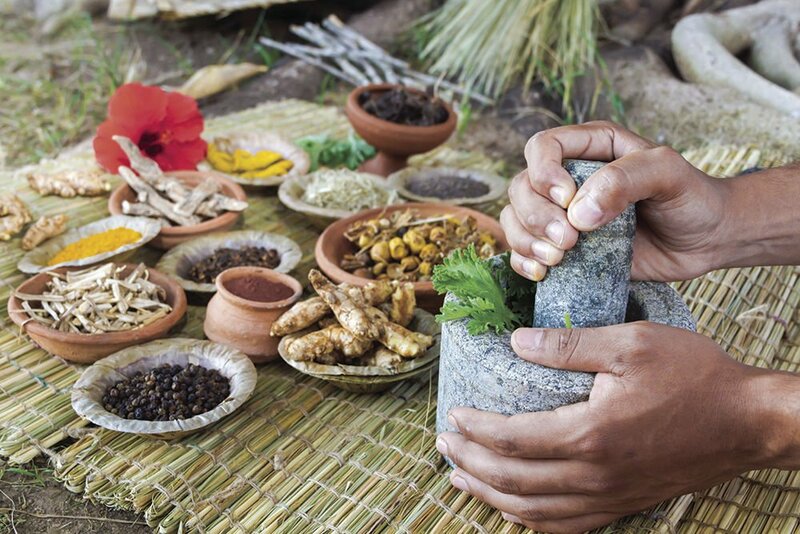 The ancient "Ayurvedic medicine" (also called Ayurveda) of India is one of the world’s oldest medical systems. The system promotes the use of medicinal herbs and superfoods like the powerful "Turmeric Root". This member of the ginger family, possesses many health benefitsincluding ani-inflammatory, pain-relieving properties! Turmeric is one of the most nutritionally rich herbs, containing good amounts of protein, vitamin C, calcium, iron, dietary fiber, sodium and a rich supply of vitamin B6, potassium, magnesium, and manganese. Beyond its nutrient density, turmeric contains the compound "Curcumin". This gives the root it's anti-inflammatory properties that, among many other things, can help fight pain in people with conditions such as arthritis. Now that's an awful lot of benefits packed in one little root! The people of India did not only rely on these superfoods and herbs to heal their body's and stop pain. 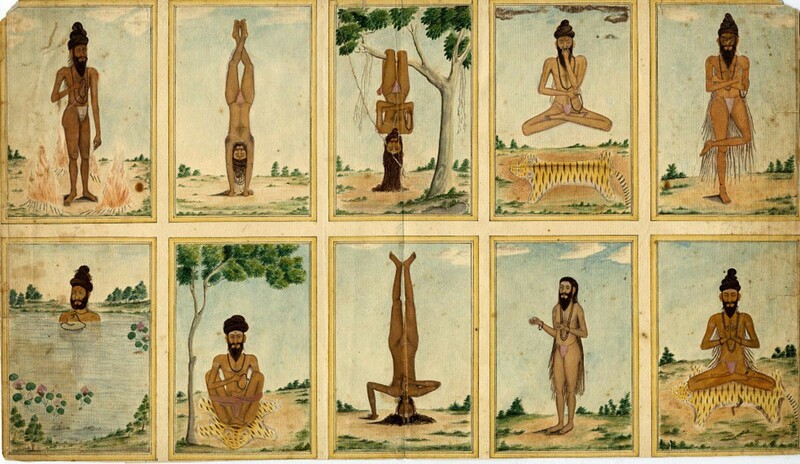 Brahmans (Vedic Priests) and Rishis (mystic seers) developed the practice of yoga. They slowly refined and developed this practice, which can be traced back 5,000 years or more! This long history can be divided into four main periods of innovation, practice and development. In the pre-classical stage, yoga was a mishmash of various ideas, beliefs and techniques that often conflicted and contradicted each other. The Classical period is defined by Patanjali’s Yoga-Sûtras, the first systematic presentation of yoga. A few centuries after Patanjali, yoga masters created a system of practices designed to rejuvenate the body and prolong life. This is where the health of your physical body and pain management comes into play! In modern times, scientific research has indicated that yoga can be used in treatments for chronic pain. Especially in the case of patients with chronic low back pain. This is why yoga and more and more variations of it are becoming so popular. One of those variations comes from an old pro-wrestler who blew out discs in his spine! Diamond Dallas Page (DDP) originally developed DDP Yoga for athletes like himself who had suffered years of injuries due to high-impact sports. When he ruptured his L4 and L5 spinal discs during the height of his professional wrestling career, he was so desperate to keep his childhood dream alive, he was willing to try anything. So he tried yoga for the first time in his life. For almost a decade, DDP has refined his program and has become a master at teaching it to others, as well as motivating individuals to believe that anything is possible with dedication and hard work. Individuals like the disabled veteran Arthur Boorman, who never thought he would walk unassisted again! Traditional Chinese Medicine is no stranger to physical practices and techniques that relieve pain either! Developed millennia ago, "Acupuncture" is a complementary medical practice that entails stimulating certain points on the body. This happens most often with a needle penetrating the skin, to alleviate pain or to help treat various health conditions. Recent studies conducted by scientists in Europe and the United States have found that acupuncture is at least moderately effective in treating pain and nausea. Beyond acupuncture, Traditional Chinese Medicine (TCM) embraces "Tui Na Massage," a form of Asian bodywork therapy that has been used in China for centuries. The term tui na(pronounced "twee naw"), which literally means "pinch and pull," refers to a wide range of therapeutic massage and body work. Tui na massage includes what is popularly known as "Acupressure," where practitioners use finger pressure instead of needles to stimulate the acupuncture points. This is one of the most popular TCM treatment modalities and is frequently used in the treatment of superficial trauma and injury and a wide variety of musculoskeletal problems. Tui na is also often used when acupuncture is inappropriate, such as with children, when it is referred to as "Chinese pediatric massage therapy." The traditional medicine of China, much like the Ayurvedic medicine of India, uses the power of mother nature through herbs and superfoods. The substances TCM practitioners most commonly use can come from different leaves, roots, stems, flowers, and seeds of plants such as cinnamon bark, ginger, ginseng, licorice, and rhubarb. Ginseng is the most broadly used substance for the broadest set of treatments including pain relief. If a practitioner recommends Chinese herbology as a treatment, the herbs are combined into a formula that is dispensed in the form of a traditional tea, capsule, liquid extract, granule, or powder. As you can see, there are many effective, time tested methods to relieving your pain naturally. Without the added risks that come with most prescribed drugs. From the use of mother natures powerful plants like turmeric and ginseng, to the ancient practices of yoga and acupuncture, there are many methods that can be used to relieve your pain the natural way!